Shaping up to be one of PlayStation 3’s last great masterpieces, Beyond: Two Souls will release in October of this year. For those who can’t wait, the full 30 minute demo has been posted online. Currently the demo is only available to those who pre-ordered the game from GameStop or GAME, as well as anyone who managed to grab a code from GameStop via Facebook. The demo opens up when the main character, Jodie Holmes, is a child in a medical/scientific facility. Through simple actions with the analog stick, Jodie can interact with the environment around her. Fans who played Heavy Rain will feel right at home, but will be relieved that the interactions are less contextual and easier to execute. Where the real fun begins is when the player takes control of Aiden, the mysterious being connected to Jodie since birth. In single player mode, the player controls both Jodie and Aiden throughout the game, but in co-op there is the option to give control of Aiden to a friend with a second controller. The relationship with Aiden is definitely unique; there are times when Jodie will scream at Aiden, pleading with him to stop, while you, the player (or your friend), continue doing whatever it is you’re making Aiden do. This creates an interesting struggle within the player, and one that could get even more interesting when playing co-op. The demo jumps through multiple moments in Jodie’s life, giving the player the opportunity to not only learn the controls and game mechanics, but to also get a taste of the kinds of situations Jodie will get herself into. Seeing Jodie grow up, from a girl to a woman, and seeing how the relationship with Aiden affects her, promises to be thrilling. The end of the demo ends with death, fire, and explosions, so it’s not all knocking blocks over and sparring matches. 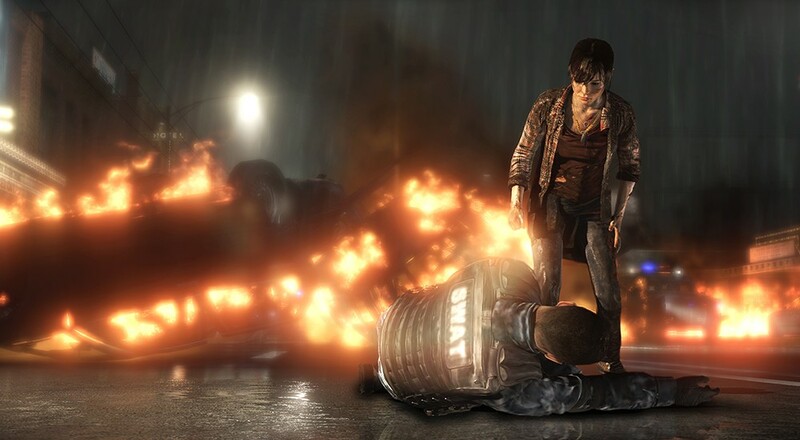 Beyond: Two Souls will release October 8 in the US and October 11 in the UK for PlayStation 3. Did you get a chance to play the demo yet? We’d love to hear your thoughts. Sound off in the comments below! Page created in 1.6153 seconds.